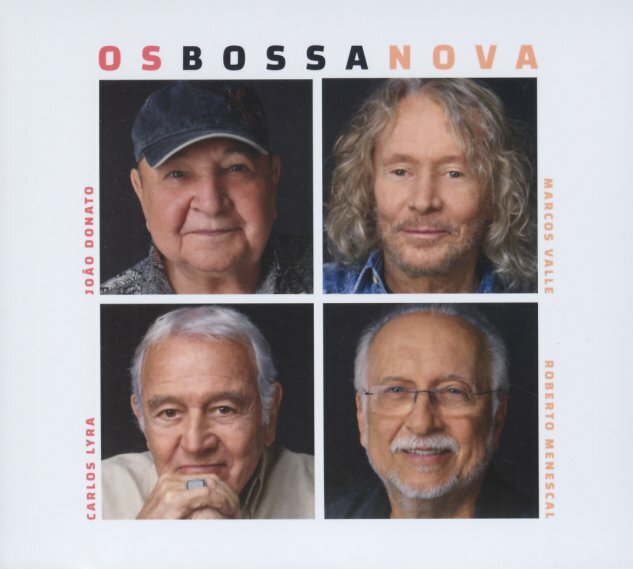 A really warm and wonderful little record – one that features the collaborative talents of these four bossa nova giants, all coming together in a really relaxed, intimate setting! Although most of these artists didn't work together in the 60s, they all share a very similar spirit, and come together beautifully here – all four working together on the first and last track in the set, then splitting apart to work in smaller duos, and each take a track or two on their own. Instrumentation is mostly small combo, and warmly jazzy – and Valle, Lyra, Menescal, and Donato all handle the arrangements too – furthering the collaborative spirit of the set. Titles include "Balansamba", "Ate Quem Sabe", "Tereza Da Praia", "Ate O Fim", "Bewitched", "Sextante", "Gente", "Vagamente", "De Um Jeito Diferente", and "Ciume". This 2018 version has 2 extra tracks: "Ultimo Aviso" & "Sambeando". 16 in all. © 1996-2019, Dusty Groove, Inc.